Did you know that the first private home to have air conditioning was the Minneapolis home of Charles Gates back in 1914? But while Minnesota has its place in air conditioning history as the origin for private home cooling, many old homes in Minnesota aren’t equipped for the modern luxury. 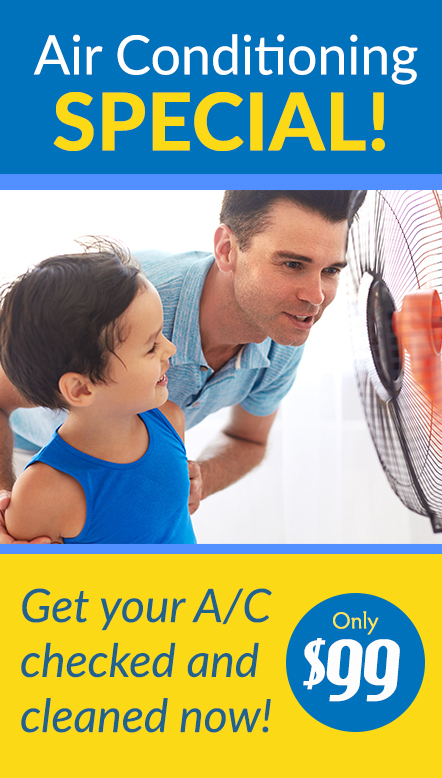 If you need to add air conditioning to your old home, there are several options you have to choose from. But central air conditioning and other whole home heating and cooling systems are a big investment for homeowners. And for pre-1940 homeowners without ductwork, that investment can skyrocket to over $10,000. Having installed home cooling and heating systems since 1912, we believe the best cooling option for old homes is a ductless air conditioning system, also known as a mini-split. Below, we’ve outlined the five reasons why ductless is the perfect solution for an older home. As the name implies, ductless systems don’t require ductwork. This helps bring the overall cost and installation time for your A/C system down dramatically. And because older homes typically don’t have existing ductwork, ductless systems mean you don’t have to have a lengthy construction project to carve out spaces for ducts. Another benefit to not having ducts is that it’s more energy efficient. According to Energy Saver, ducts can account for up to 30% of your overall energy consumption. By eliminating ducts, this energy can go directly towards cooling your home and isn’t wasted on cooling a duct in an attic. Ductless air conditioners, also known as mini-splits, have two units that are split between the outside and inside of your home. One condenser unit is placed on the outside of your home and up to eight vent units can be installed on your interior walls. With this method, you can heat and cool up to eight rooms in your home with one system. The split system is also ideal for energy efficiency. Each vent has its own thermostat so you can keep each individual room at a custom, comfortable temperature. 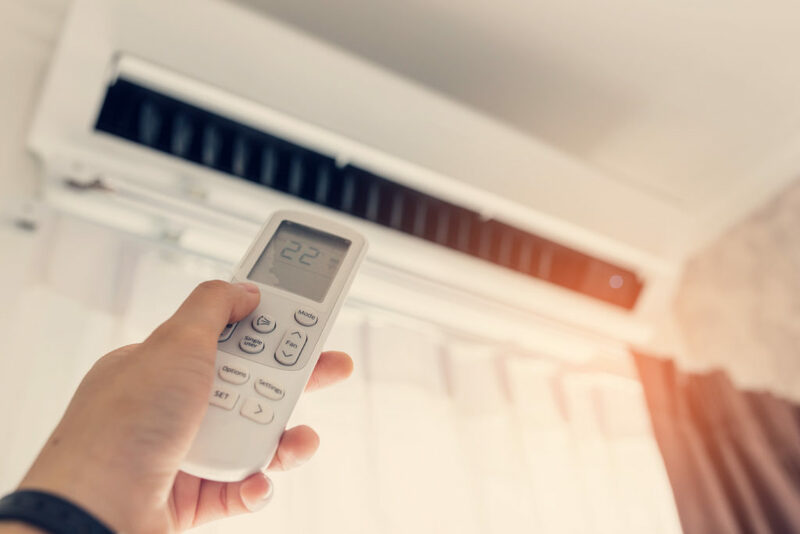 In addition, you can turn off individual vents to conserve energy and the condenser unit will automatically adjust its electricity consumption. Because ductless A/Cs don’t require a window and instead are installed on interior walls, you can leave your windows closed and secure all summer long. With a window unit or portable air conditioner, your windows will need to be left partially open or exposed leaving the ground floor of your home vulnerable. 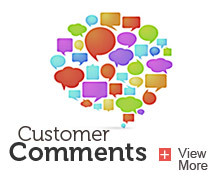 What’s worse is that older homes often don’t have the right type of window for a window unit. Sliding, casement, hopper, and more window types aren’t compatible. 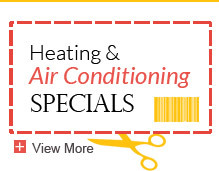 Ductless air conditioning systems are a permanent installation in your home. Fortunately for you, this means it never has to be uninstalled or winterized. In fact, depending on the system you choose to install, your ductless units may even help heat your home in the winter months. While it’s not an ideal replacement for a furnace in a cold state like Minnesota, the output from the system will still reduce your monthly heating bills when used in combination with your furnace. In older homes that may lack proper air circulation, air quality can be a concern. And while there are many indoor air quality tips you can put in place, they don’t change the fact that duct systems can serve as dust and allergen collectors when inactive. Installing a system that doesn’t require ducts will eliminate the amount of potential allergens and dusts that will pile up in the nooks and crannies in your home. Ductless air conditioning systems typically cost around $5,000, so while it’s not as expensive as central air it is still an investment. Regardless, we stick by ductless being the most efficient and affordable option for old homes. If you’re ready to install ductless air conditioning in your old home, contact us or give us a call at 612-825-6867 for a free consultation or a quote.